I would venture to say that there are probably as many people carrying around a laptop as there are people with cell phones. Well, maybe there are more cell phones, but those laptops can become glued to us just as quickly as the cell phones! Just can’t live without either one of them. 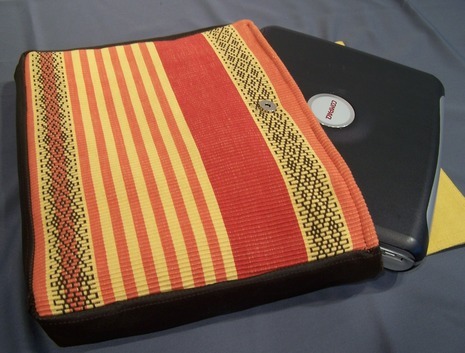 This month’s “project of the month” is not one, but TWO laptop carrying cases that you can make. Shelly Leer, aka ModHomeEcTeacher sent us two laptop case tutorials, and wonders which one we like best. You can review them both, make one or two, then let us know which one you like best. The “flaptop laptop case” is made out of placemats she’d gotten at a dollar store, and recycled leather from a used leather jacket from Good Will. 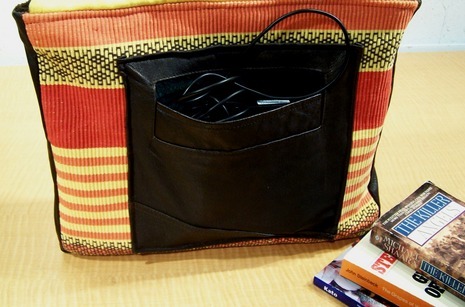 The flaptop laptop carrying case has a flap to secure it, and a pocket on the side for cords. The handle can be made out of the same leather as the side leather strips you see above. 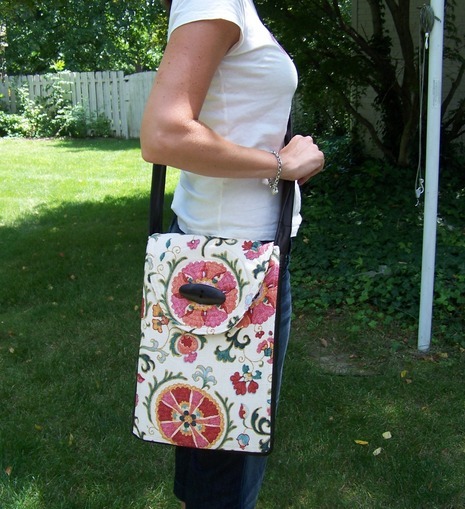 The “laptop messenger bag” is made a little differently – Shelly has made a quilted shoulder strap, has some extra padding and quilting on the inside of the bag. 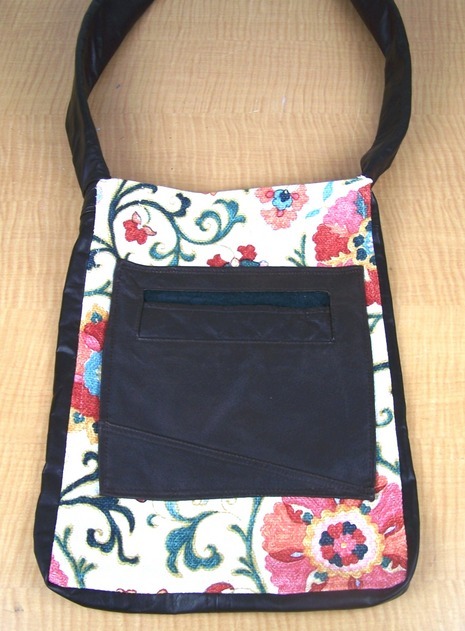 She’s used a very pretty print for the main part of the bag, and again used some recycled leather from a jacket for the sides, pocket and strap. Somehow the Messenger Bag looks quite a bit longer than the flaptop laptop bag, however I’m sure it’s just the way the pictures were taken —- laptops don’t vary too much in size! Ok, check out both tutorials and see what you think. I’m thinking – Christmas!!! There’s enough time to get a few of these made for friends —- might even put some in my customer waiting area to sell. 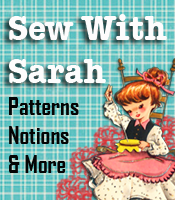 Thank you Shelly (ModHomeEcTeacher) Leer for these excellent tutorials —- I’m anxious to see what our readers choose as their favorite one!